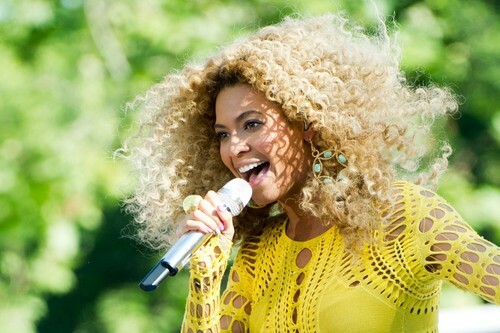 Performs On “Good Morning America” In New York. Performs On “Good Morning America” In New York. HD Wallpaper and background images in the 碧昂斯 club tagged: beyonce beyonce knowles knowles 2011 performance live concert. This 碧昂斯 photo might contain 音乐会.